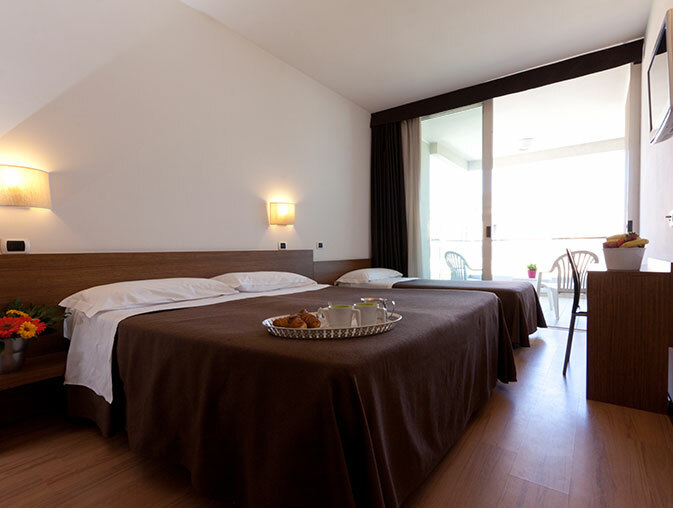 Our rooms are bright, quiet and the Junior Suite with a view of the sea of Rimini. But what gives an extra touch to your sleep well are our housekeepers, who give you attention, availability and smiles. If you want space, attention, elegance and a fantastic view, choose the top, our junior suites with balconies overlooking the promenade in front of the beach, all between the 2nd and 4th floors and soundproofed, with parquet floor and large bathrooms with shower or bath, tea and herbal teas. You can also choose the solution with 4 beds (all on the ground) for comfortable family stays. Our delicate perfumers for the environment will give a touch of freshness and harmony when entered. 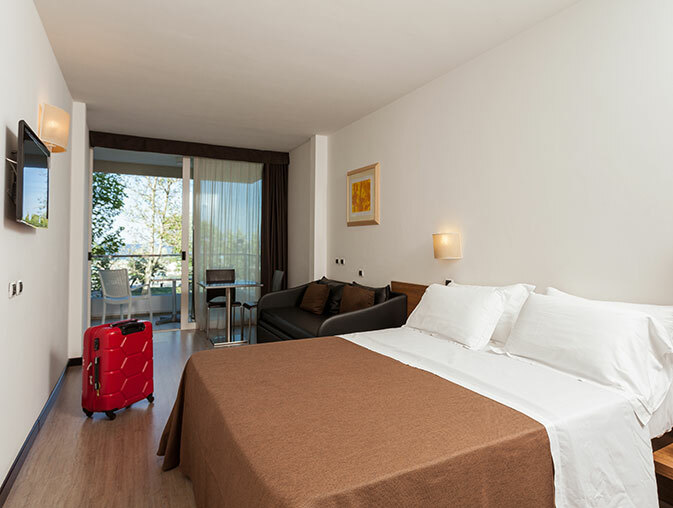 Bright rooms located on the 2nd to 4th floors of the hotel, soundproofed and with simple but elegant furnishings, parquet flooring and large windows and balconies overlooking the promenade and the beach. You can choose the room according to your needs: double, triple or quadruple (with beds on the ground or sofa bed that opens forming 2 single beds). We give you a touch of harmony as soon as you enter, thanks to our delicate environment perfumers. Do you want to have dinner in your room? You can order your pizza and enjoy it in total privacy. Travel with your dog? For small pets there is an additional sanitation charge which is € 15 per stay. We can supply also external express laundry service with delivery within 24 hours. A different way to experience the holiday, in complete freedom and autonomy. A different angle to see Rimini from the top of your sixth floor. Choose the attic that best meets your needs. They are all modern apartments, furnished with style, bright and functional.